We are glad to introduce to you another amazing member of the MakeADream_NG – Sinmisola Ogunyinka. Sinmisola is a prolific Author and Movie Producer, and has authored over thirty romance novels and many Christian titles. 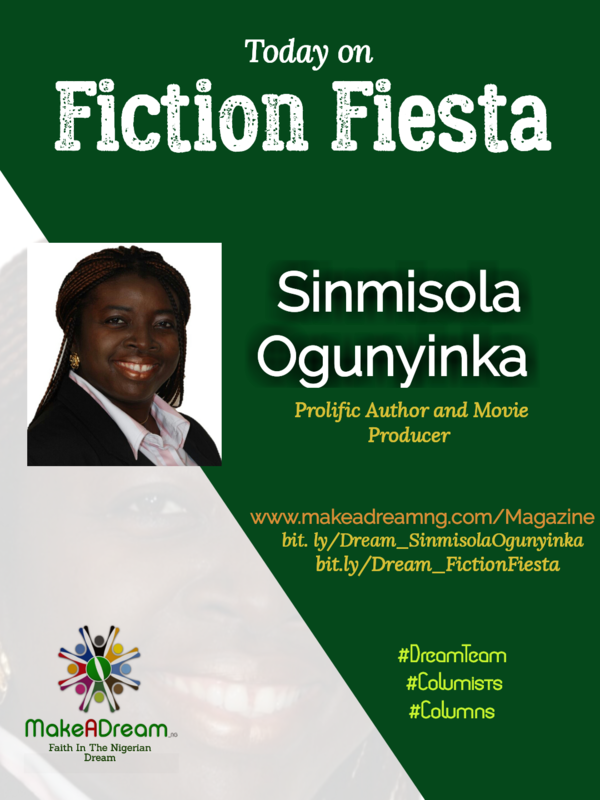 Please look forward to an exciting Fiction Fiesta with our columnist Sinmisola Ogunyinka tonight.